“Miss U” is a euphoric breakdown. If I close my eyes this song takes place above the clouds. Sometimes when you’re trying to get over someone your brain catapults you into a dream state to cope and it’s not better or worse. There’s a standard protocol to be strong and not look back but in real life that can take a while. This is about that contemplative journey, hopping between conflicting states of mind. The music attempts to mirror that dream state Felicia referred to. Samples and instruments drift in and out without a firm sense of real acoustic space (aside from the steady pulse of the rhythm section grounding the entire proceedings), and the bridge features a slightly bizarre chord progression that doesn’t feel totally logical. In the end, it feels triumphant, as if there’s catharsis to be had in the dream. Gemma also have two upcoming shows, both in their hometown of NYC. 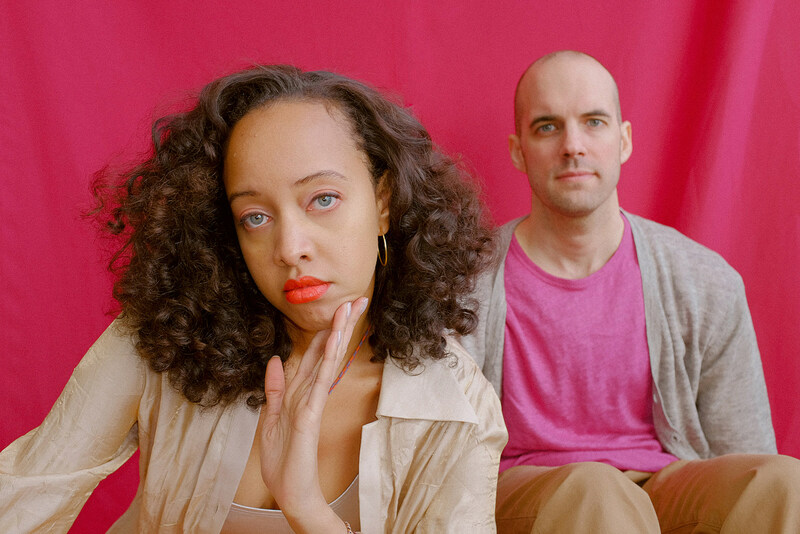 They’re playing Baby’s All Right on April 21 with Coughy and Sally Burtnick (tickets), and they’re also opening the Girlpool / Hatchie show at Bowery Ballroom on April 25 (tickets). Girlpool and Hatchie’s MHOW show will be opened by Claud and their Asbury Lanes show will be opened by Teenage Halloween.